The unique reverse corrugate sidewall not only feels good in the hand, it keeps your hands protected, as well as makes a bold statement. 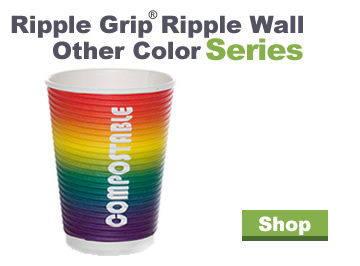 Great for any occasion where beverage temperature may be a concern. Available in 8oz, 12oz, and 16oz Craft or Black colors with Bold White lettering. 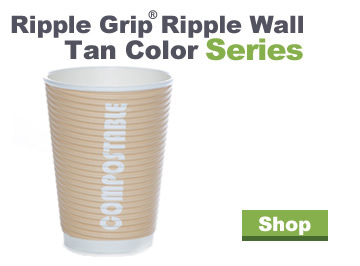 Our Ripple Grip® Ripple Wall cups are a ASTM D6868 certified compostable cup. 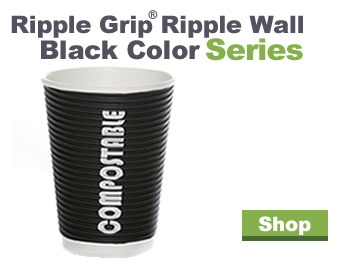 You can also create your own customized Ripple Grip® Ripple Wall cup with your logo or design. Contact us for more info.